Mauricio Pochettino says the prolonged wait for Tottenham's new stadium will be worth it and players and fans should be grateful to have Wembley for the time being. Large parts of Wembley were empty on Tuesday for the Champions League match against PSV Eindhoven, which Spurs won 2-1. A crowd of 46,588 watched the game which was partly due to restricted ticket allocations. 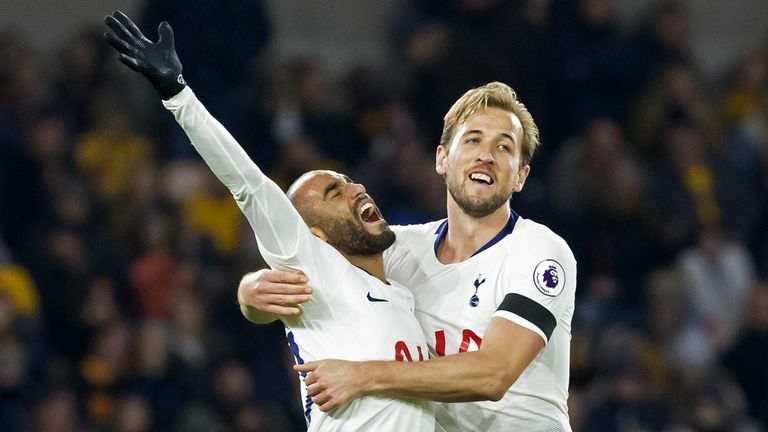 In recent weeks there have been criticisms of the pitch and Tottenham have struggled to find their best form at the national stadium. But Pochettino insists players and fans must continue to be patient. Speaking ahead of the game at Crystal Palace on Saturday, Pochettino said: "It is not the same to play with 90,000 or 40,000 but that is the reality. "The players know very well what we are doing is for the benefit of the club. "The reality is that we have to minimise the effect on our performance, our mentality and our character so that we can be competitive in the best way to try to win games. "The only way we can help the club is to try to win games and to try to be aware of the situation. "So far I am happy because the team is so strong, it is focused. Like our fans it is a tough period, it is not easy but we have to be grateful for Wembley. "We cannot blame Wembley, we need to be grateful for Wembley because we can compete in London close to White Hart Lane and our training ground and that is a massive advantage for us. "But of course you feel disappointed because it is not your home, it is not your house but I think the legacy of what Daniel Levy and the board is doing for the club, for the rest of our lives and for the next generation of fans is massive. "That is why we have to have patience and wait a few more weeks or months to finish the stadium. "We are starting to feel it is so close and it will be a big boost for us to compete there. "Our fans need to create in their minds that one more day at Wembley is one less day until we are in our new stadium. "That starts to create motivation and inspire you to feel happy and optimistic and generate a good energy. "We want to be in a good position when we start to play in our stadium. We want to be involved in all competitions. "Our fans in our new stadium are going to be key and help us maybe to win something."